Tac-Force Fantasy Karambit Folding Knife Pink | BUDK.com - Knives & Swords At The Lowest Prices! This Tac-Force Fantasy Karambit features a black, high carbon steel partially serrated blade. 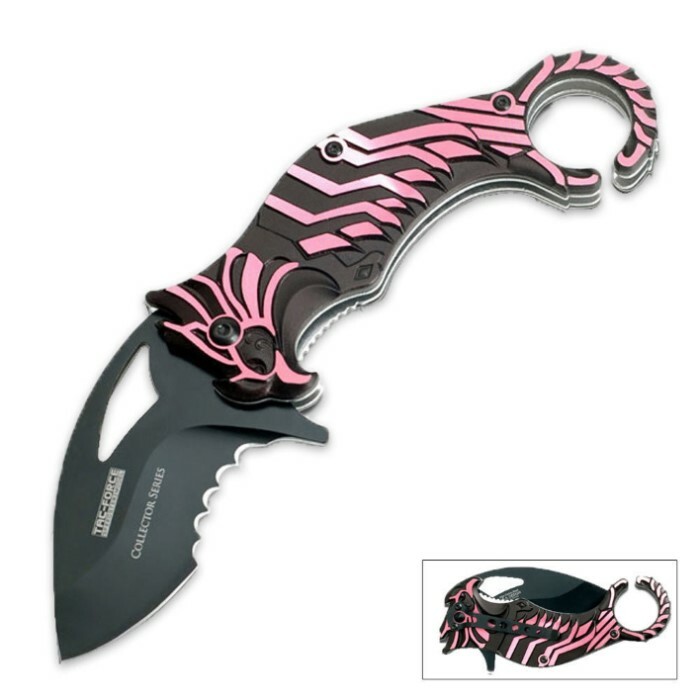 The aluminum handle is black with pink accents. Includes a pocket clip for easy carry.